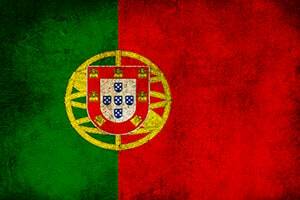 Portugal’s government will review the country’s gambling laws in 2018, local media reported on Friday. The Iberian country regulated its online gambling market in 2015 and officially opened it for international operators in the summer of 2016, when the first online gambling license was issued. Late last week, Portuguese lawmakers presented the budget plan for 2018. Among a number of other provisions, the plan also contains proposed amendments to the country’s Online Gambling Law. These are mostly concerned with the legalization of national and international liquidity for different iGaming and betting services. Earlier this year, Portugal entered into a shared online poker liquidity agreement with France, Italy, and France. Said agreement will allow the country to merge its online poker player pool with those the other participating country. Under the proposed amendments to the nation’s existing gambling laws, Portugal will be able to enter similar agreements for other online gambling activities. In other words, Portugal-facing operators , both gaming and sports betting, will be able to share their customer pools with fellow brands that are licensed by the local gambling regulator, Serviço de Regulação e Inspeção de Jogos (SRIJ). 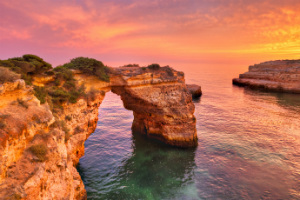 What is more, Portugal-licensed operators will be able to merge their Portuguese player pools with the player pools in other regulated jurisdictions these hold licenses from. If approved, the proposals included in the 2018 budget plan will be developed into a set of regulations by SRIJ in order to be able to be implemented. As reported by local media, a preliminary plan about the shared liquidity amendments has already been presented to the European Commission and has been received well by EU regulators. Portugal’s new online gambling taxation regime has been the subject of bitter criticism since introduced more than two years ago. The country uses turnover as tax base as opposed to gross gambling revenue used by the majority of Europe’s regulated jurisdictions. This makes Portugal one of the most expensive jurisdictions for operators to provide their services in, and therefore highly unattractive. The Remote Gambling Association has been among the most vocal opponents of the country’s taxation regime and has long been calling for changes in the way licensed operators are taxed. It seems that there will be certain changes indeed, but the established tax rates will likely remain the same. At present, Portugal taxes sports betting operations at 16% on turnover, and casino operations, including online poker, at 30%. The proposed amendments in the budget plan for 2018 call for certain changes in the tax on the so-called fixed-odds sports bets. Operators featuring such a gambling option will still be taxed on turnover, but the generated tax proceeds will be allocated in a manner different from the current distribution of the tax revenue generated from licensed gambling operators.